David J. Lett, now retired senior administrator from the Administration for Children and Families (ACF) Region III, U.S. Department of Health and Human Services, brought together a small group of local and national stakeholders to consider the question of the value of increasing the involvement of fathers in the life of their children. After several meetings over the course of six months it was decided that yes in Philadelphia, there was value in addressing the issue of increasing father-involvement in the lives of children to improve their well-being. Beginning in 2012, the core group of stakeholders officially expanded their membership and began developing an infrastructure that included a group name, mission and vision statement, membership criteria, role expectations, and required responsibilities. The name chosen by the group was the Philadelphia Strong Families Coalition (PSFC). By the second year of existence PSFC had grown into a volunteer body of nearly thirty community stakeholders who, a) resided and/or worked within the City of Philadelphia, b) supported the idea of strengthening families and improving child well-being for Philadelphia’s children and youth, c) were committed to advocacy and community partnership, and, d) participated in regular face-to-face, as well as virtual meetings. In addition, a Second Year Student, from Bryn Mawr College, Graduate School of Social Work and Social Research, received a small grant to assist the Coalition in collecting statistical data on children, families, and fathers within the Philadelphia community. The major portion of 2014 was devoted to analyzing statistical data, hosting/conducting focus groups, writing reports, editing reports, and framing a final document with recommendations that were meant to captures the connection between child well-being in Philadelphia, by profiling its children, families, and fathers. The report was titled: Child Well-Being in Philadelphia: Profiles of Children, Families & Fathers. Jacquelyn Mitchell, JD, LCSW, Senior Fellow at the Institute for the Advancement of Working Families, served as the editor of the report. The report was designed as an information and advocacy tool for the Philadelphia Community to better understand the social and economic conditions that foster or impede the well-being of children, families, and fathers in the City of Philadelphia. 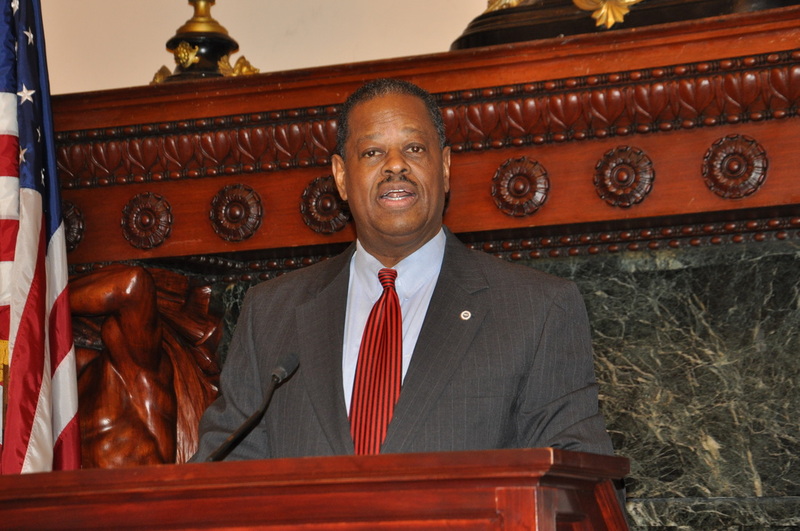 The Report was released on Tuesday, September 23rd 2014 at a Press Conference held in the Reception Room of the Mayor of the City of Philadelphia. In addition, the Coalition launched an independent city-wide advocacy entity to foster and monitor child well-being in the city of Philadelphia, as well as to build awareness of the value of fathers as essential to strong, healthy children and families. The city-wide entity was named The Strong Families Commission Incorporated (The Commission). It was incorporated as a Pennsylvania non-profit corporation organized for charitable purposes. The affairs of the Corporation are conducted at all times in such manner as to maintain charitable character and status, and to qualify for tax exempt status pursuant to Section 501 (c) (3) of the Internal Revenue Code (or corresponding section of any future Federal tax code). The Corporation shall have the purposes and powers stated in its Articles of Incorporation and such other powers as are now or may be granted a nonprofit corporation organized under the laws of the Commonwealth of Pennsylvania. The PSFC Report serves to this day as the guiding document for the work of The Commission. 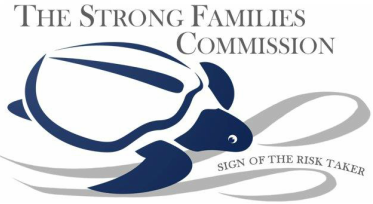 The Strong Families Commission Incorporated (The Commission) is actively engaged in board expansion and development, establishing fiscal and accounting systems, writing policies and procedure statements to accomplish the mission of the corporation, and fashioning a five year strategic plan. In April 2015, the Commission received notification of its 501 (c) (3) Federal Tax Exempt Status. 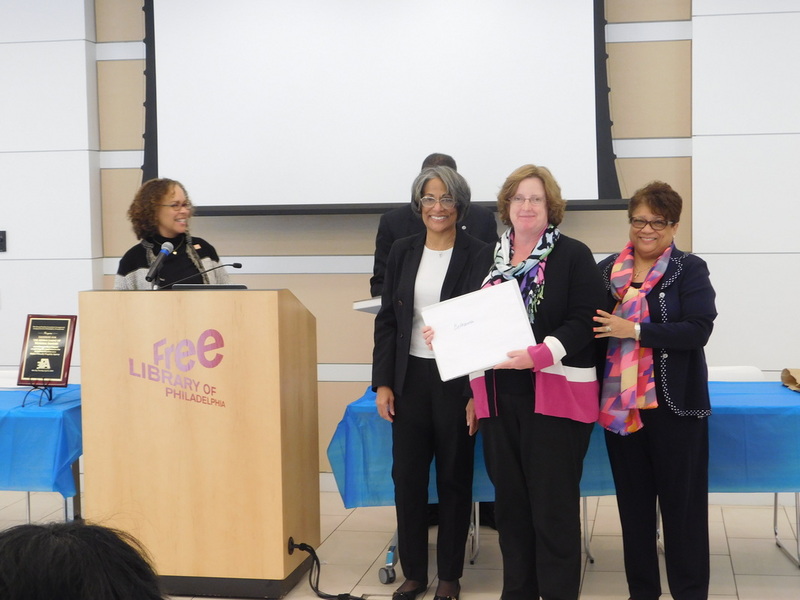 The Commission held on Tuesday, April 5, 2016, its first 3FA Celebration of 25 Philadelphia Children, Youth, and Family-Focused Agencies that were recognized as inaugural participants completing the requirements for initial certification as a Father Friendly Flagship Agency (3FA). In addition to receiving a Plaque, agency awardees received a certificate of “Initial Certification of Father Friendliness,” based on having met the criteria for a Father Friendly Flagship Agency as developed by the Stoneleigh Foundation Senior Fellow Project “The Integration of Responsible Fatherhood Within Foster Care Service Delivery and Other Children and Youth Servicing Systems”, and agreed to by The Strong Families Commission, Incorporated. A 3FA Logo was also provided to each agency to be placed on their website or other published materials. THE COMMISSION convened an historic bipartisan and bicameral Symposium on Child Well-Being in Pennsylvania and the Urgent Need for Father Involvement, held at the Pennsylvania Child Welfare Resource Center in Mechanicsburg, Pennsylvania, eight miles west of the State Capitol. Symposium convening partners included the Allegheny Intermediate Unit (AIU); AMACHI, Inc.; Child Welfare League of America, Inc.; Delta Community Supports, Inc.; and the Fathers Collaborative Council of Western Pennsylvania. Legislative Sponsors included State Senator Anthony Hardy Williams, (D) Philadelphia; State Senator Patrick M. Browne, (R) Lehigh County; Representative Edward C. Gainey, (D) Pittsburgh; and Representative Harold A. English, (R) Allegheny County. 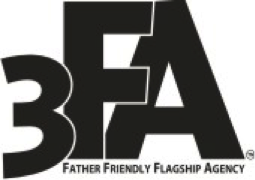 The over-arching goal of the 3FA process is the enhancement of child well-being, via the expansion of the capacity of children, youth and family-focused agencies to increase and sustain their ability to involve fathers in the lives of their children, through quality father engagement philosophy, policies, practice, procedures, and protocols, known as THE COMMISSION’s Standards. Completion of a series of IAWF Father Friendly Flagship Agency Self-Assessment Surveys, (not less than two). Active participation in the Project Community of Learning, through a Trans-Disciplinary Approach to knowledge building and exchange, including submission of documents for consultation and review. Identification and Commencement of a Capacity Building Initiative, starting with defining the unit of study, anticipated outcomes, proposed activities, and method of independent evaluation. Presentation of Agency’s Father Integration Strategic Plan to internal and external audiences. Participation in a Project Exit Interview designed to assess: 1) increased conversation among participating agencies regarding the value of fathers in the lives of children; 2) early father inclusion in case planning; 3) agency/client benefits, if any, as a result of participation in the project; 4) short-term effect of project public discourse highlighting the consequences for dependent and delinquent children and youth, who currently are, or are at risk of becoming, involved in multiple systems of care; and 5) new program initiatives, if any, as a result of project participation. THE COMMISSION Agency Accreditation is based on demonstrated commitment to the principals of Father Friendliness & Continued Agency Self-Assessment; willingness to engage in pro bono work designed to consider alternative strategies to removing children from their home and extended family members; readiness to stand firm in their belief and value of the importance of fathers being included in their respective service delivery models to children and families; and achievement of all of the criteria defined to become a 3FA. Since the project began over 5 years ago, 35 agencies within metropolitan Philadelphia with varied service agendas and populations have participated in the design process of the 3FA Initiative. 25 agencies completed the initial certification process in April 2016, and 12 agencies were accredited in January 2018. Former Mayor W. Wilson Goode, Sr. speaks at the Coalition's 2014 press conference releasing the Coalition's Report. 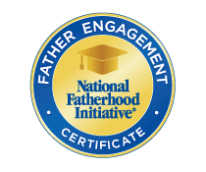 Commission’s Fatherhood Trainers attending NFI 24/7 Dad ® Training Institute in Aberdeen, Maryland, January 2016. Trainers from Left to Right: Ver’non D. Brown, Alphonso E. Dashiell, Rufus Sylvester Lynch, Colin A. Hanna, and Asher Kemp, Jr.